﻿ Best Price on Hotel Aladino in Santo Domingo + Reviews! Located in Santo Domingo, this hotel is a 5-minute walk from the Bellapart Art Museum in the heart of the financial district. It features a gym, free WiFi and an on-site restaurant with a free daily breakfast buffet. The simply furnished rooms at the Aladino Aparta Hotel are air-conditioned and free WiFi , a cable TV, a safety-deposit box, a mini-fridge and a private bathroom with free toiletries. Some rooms have a kitchenette. The property's restaurant serves a buffet lunch from Monday through Friday, while a la carte options are also available. 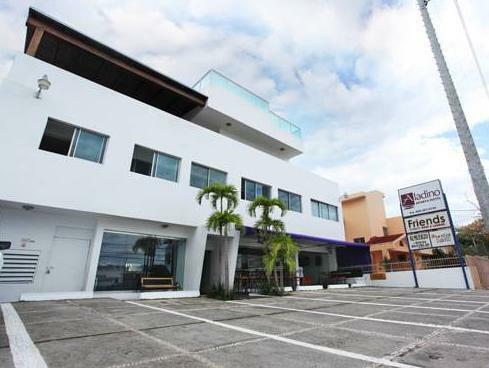 This Santo Domingo hotel has evening security and the front desk is open 24 hours a day. Taxi service, car rentals, concierge service and currency exchange are available. Santo Domingo's beautiful Colonial Zone is a 15-minute drive from the property while Dr. Rafael Moscoso National Botanical Garden is a 5-minute drive from the the property. Las Americas International Airport is 30 minutes away by car, with an optional shuttle service available.